The process of buying land in Evergreen and the Denver Foothills is pretty much the same to buying a home: As in any purchase you will need to first decide on your price range and some basic parameters and needs, like the area you want to build and approximate parcel size you want, then arrange financing (if you intend to use a lender), check out the Denver Foothills real estate market to see what’s available in the parameters you decided, and make an offer to to the sellers. Buying land for your custom mountain home in the immediate future can be a good investment. Buying land for speculation or as a long-term investment, that is less than 35 acres in size, may not be a good idea because state and county regulations change in huge way almost on a monthly bases it seems, limiting the use and that has a huge impact on the actual value of the parcel after new regulations are put in place, you can be sure that their direction will be toward more restrictions on drilling wells and preserving our land as far as density and use. Not to mention undeveloped land is taxed at a higher level that a parcel with a home on it. Not really sure why that is but is. North or South Facing.. A little give and take.. Which way does the property face? This is a huge deal in the mountains. It seems like people that have new or Realtors from down in Denver are the ones that usually end up buying their first mountain property and it faces to the north. They view the property during the day and in the summer and have no idea the misery to lay ahead during the first winter. They will have ice build up and see the sun go down behind a mountain at 2 o’clock in the afternoon. South is considered best (by anyone that knows anything about mountain homes and real estate because the winter sun is lower in the sky and it beats down and warms up south facing lots and homes. Unfortunately most homes and lots with great mountain views are usually facing to the north. Guess it is true that you just can’t have it all. Topography – The topography of the Denver Foothills is pretty different than most people are used to that move here. It can be very intimidating to a newcomer. Another thing you will need to understand if you have beautiful mountain views on your list of must haves for your new property, you will most likely be driving up a few switchbacks and have a steep driveway. This is because in order to see the mountains you need to get up higher and above the canopy of the trees. 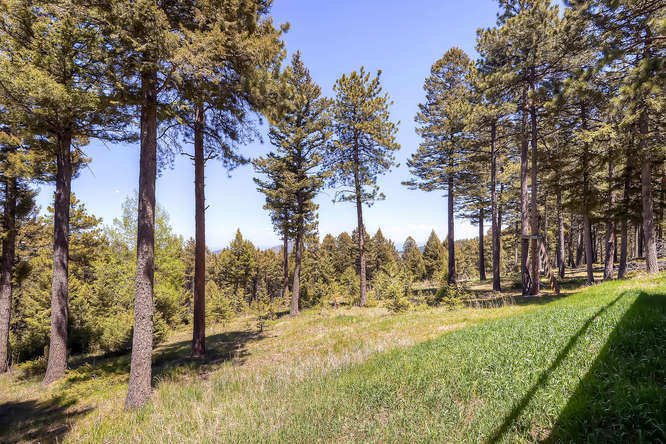 There are few lots or parcels in the Denver foothills that are flat (at least naturally) if you want to make part of your property flat you will most likely need to bring in a crew to move a little land for you. Access to the property….Most (not all) roads are county maintained. You and your mountain Realtor will need to find that out. There are also some nightmarish issues with easements and access to some parcels. It isn’t a secret that this area screwed up years ago when dividing parcels. They did their best but this area expanded very fast and it was hard for clerks to keep up. Also this area has some people that enjoy their privacy and some stuff was just never recorded and people just assume it was all done properly. Zoning is a Huge deal! It will be a real unexpected cost if you do not do your due diligence on zoning before you purchase your property. You may find out that the plans you had for that parcel will never come to be all because of zoning. Most of the lots away from the downtown areas are on a well system. That can be private or community wells. Another thing your mountain Realtor will be able to find out for you. Most lots subdivided before 1972 are most likely to receive a well permit, but you will always want to confirm with the state you can get a permit before buying. A mountain parcel not able to get a well permit is pretty hard to sell on the other end. Plan on spending around $15,000 or more for a well to be drilled. That cost doesn’t include water storage or any other “add ons” you might need for a low producing well. It all depends on the area and how deep that well needs to go to get good water flow. If you buy a lot served by a community/public water system, be sure to check on tap costs and availability. Usually if your lot requires a well you are most likely on a septic system. This septic system needs to be downhill and a certain distance from the well (sounds like common sense but believe it or not it wasn’t always this way…yuck right?). Most neighborhoods that are ‘lot & block’ have some sort of restrictive covenants. Some are more strict than others. This is not the same as a homeowners association. These covenants were put in play by the builder. Be sure to see if your area has restrictive covenants. Sometimes it might be a deal breaker. You may find the perfect lot, size, well, everything looks good but you want to have horses. The covenants might not allow them. Is My Perfect Mountain Property Legal For Horses? 3)The well permit (again water comes into play) must allow watering for them. These standards need to met for a “legal” horse property. That being said there are certainly a great deal of properties in the Denver foothills that are not legal. They have outbuildings and horse facilities but don’t meet the standards put forth above. So please be careful. Just because there are horses and buildings on a property doesn’t mean it is a legal horse property. Title Issues – It is very important, when buying land, to get a survey and title insurance. So buying land isn’t for everyone. It is nice to know that the opportunity to build your own custom mountain home is there. It just takes some work, patience and especially due diligence. This is just an opinion of a Realtor. Please consult your attorney, accountant or real estate broker for advice.